In 1991, the Numismatic Bibliomania Society raised and donated $3,000 to the American Numismatic Association to establish the Numismatic Literature category and endow the Aaron Feldman Award , to be given each year to the top numismatic literature exhibit. After reviewing the exhibits individually, the judges confer and decide on the 1st, 2nd, and 3rd place winners. Below is a listing of exhibits in the Numismatic Literature class since its inception in 1992. For some of the exhibits, the full text is available online. "NC" means the exhibit was placed non-competitively. Underlined exhibit titles are active links to additional information on that exhibit. 2nd Darryl Gomez "Debut of the President of the United States special Government medal Series." 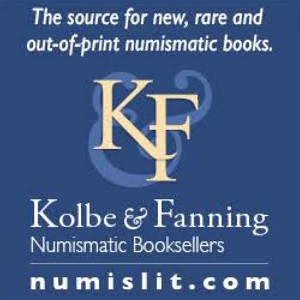 1st George Kolbe "Numismatic Bibliography 1579-1912: The Literature of Numismatic Literature"
2nd Lawrence Sekulich "Paul Manship's Book for the Circle of Friends of the Medallion." Quality coin supplies: folders, holders, slabs, 2x2s and more!